Growing older may involve newfound aches and pains, but one of the keys to enjoying your senior years? Discounts! You can grab cheap prices on groceries, movie tickets, and even live shows. There’s no shortage of senior discounts in the snowbird-friendly state of Arizona. Here are the best local senior discounts. Looking to take in a show? Make a trip to the Phoenix Symphony. It’s Arizona’s largest performing arts organization. Originally founded in 1947, the Phoenix Symphony now hosts top concerts by Arizona’s only full-time symphony orchestra. Seniors can purchase tickets at a 25 percent discount as part of the Senior Rush. The Senior Rush program lets seniors purchase available tickets starting one hour prior to select Phoenix Symphony concerts. Get ready to hit the slopes at Arizona Snowbowl. This Flagstaff ski hill is home to 55 trails, seven lifts, and over 750 acres of terrain. Seniors don’t have to worry about breaking the bank for lift tickets. Seniors ages 65-69 can get a $47 all-day lift ticket ($59 during holidays). Are you over 70? You’re in luck. Guests age 70 and older get a free lift ticket every day with valid ID. The Arizona Science Center does the impossible: it makes learning fun. This downtown Phoenix learning center is filled with interactive exhibits in a massive 164,000-square-foot building. You can get in on the fun for free the first Sunday of every month. That’s when seniors ages 62 and older get free general admission. Bring a valid ID and enjoy a free day of fun. Visited the Pompeii exhibit at the Arizona Science Center. Reinforced the visit to Pompeii last May with the Honors College. Very cool. There’s no shortage of deals at Goodwill. Goodwill has 19 stores across Southern Arizona, including 16 retail thrift stores. Each of the stores carries thousands of secondhand items donated by local Arizonans. Goodwill is already known for its low prices, but that doesn’t mean there aren’t special deals for seniors. Seniors get a 20 percent discount on donated goods every Tuesday and Wednesday. Local movie buffs know all about Harkins Theatres. This locally run theater chain was founded in Arizona in 1933. It’s since grown to encompass 33 locations across five states. Harkins pulls out all the stops to encourage repeat visits from customers. You can enroll in loyalty programs for discounts on concessions. You can see classic movies on the silver screen for only $5. Seniors 60 and older also get $7.50 movie tickets every day. The Phoenix Art Museum is the largest art museum in the Southwest. This esteemed museum has over 18,000 works of art from across the globe. They also host a variety of live performances, festivals, and educational programs geared around the arts. Seniors get a discount on daily admission. General admission is only $15 with valid ID. You can enjoy the beauty of the southwest at the Tucson Botanical Gardens. This 5.5-acre botanical garden features 17 gardens and exhibits that showcase the desert’s finest flora and fauna. Multiple trips are recommended to truly take in all the botanical gardens have to offer. Seniors age 62 and up get a discount on annual membership. The $40 senior membership comes with year-round admission, a 10 percent discount at the gift shop, discounts on lectures and special events, and a free subscription to their newsletter and e-bulletin. Bashas’ is an Arizona-based grocery chain. It’s grown to become a go-to spot for everyday grocery items, fresh baked goods, and local produce since first opening in 1932. Seniors can get discounted groceries as part of Bashas’ Senior Discount Day. This deal runs the first Wednesday of every month. Customers age 55 and up get a 10 percent discount on single transactions throughout the entire day. 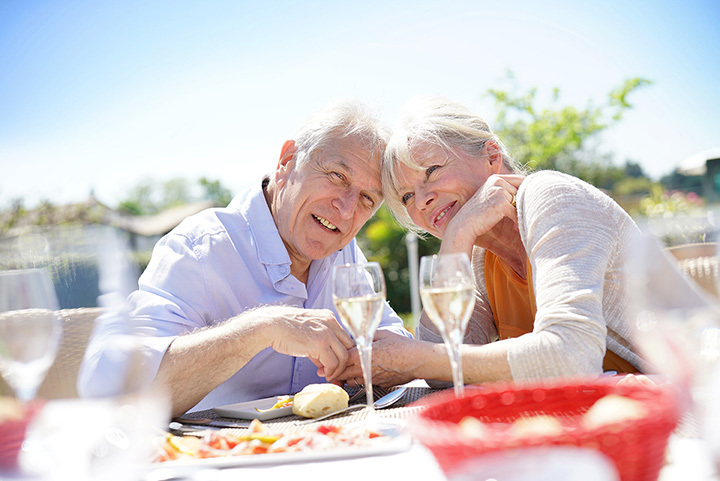 Senior discounts are not eligible on certain products, including alcohol and tobacco. Is it #lunchtime yet? Fresh #sushi at lots of our locations...swing by and eat light today!